This blog post is the continuation of the driving with tinted car windscreens in Malaysia article. This article quotes an official who gave an extensive and comprehensive write-up in a local newspaper very recently regarding tinted glasses. 1) A prohibition notice for the use of the vehicle. 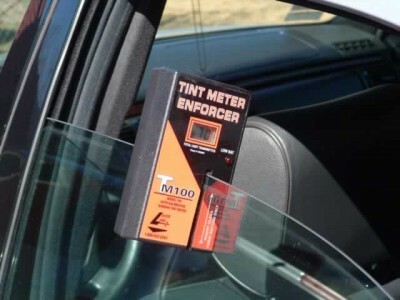 2) A 10 day grace period to remove the tint to an acceptable level. 3) The vehicle will have to be “inspected” (by Puspakom) presumably. 4) Notice to rescind earlier prohibition notice shall be issued. What would happen if an offender remains “stubborn” and fails to comply with the department’s directive? A summon obviously will be issued. The “prohibition” notice shall remain, until and unless, the said vehicle is brought in for inspection. What, readers may wish to know, is the “fine” or “penalty” that will be imposed upon “conviction”? 1) A “fine” not exceeding RM500 and / or imprisonment not exceeding 2 weeks for the 1st offense. 2) For subsequent offense, is a fine not exceeding RM1000 and / or imprisonment not exceeding one month or both. With regards to operations launched specifically against users of tinted glasses, the J.P.J. reiterates that there is no such action. Nevertheless, ongoing “road blocks” will inevitably focus upon heavily tinted glasses. We have to take the Transport Department’s seriousness on the subject. Referring to the Akta Pengangkutan Jalan 1987, or the Road Transport Act 1987, where the original penalty or fine for illegal use of tinted glasses was listed at only RM200 then. This present day, the penalty has been raised to RM500 for the 1st offense and RM1000, the 2nd offense. This goes to show how determined the department is in “curbing” the tinted glass menace facing the nation. Q: JPJ pulled me over for having tinted windows (180% dark) in broad daylight, It’s my first time getting pullover for a “saman” i know i won’t be able to talk myself out of. I see other vehicle drivers getting out of their cars as instructed by the JPJ officers, and i loosened my seat belt as well, getting ready to come out of my car too. When he knocked on my window to have it lowered down, i did as instructed and he said “You are not wearing seat belt?” and things escalated from there. Two tickets, one white (vehicle inspection- tint windows 14 days from today) i signed; second ticket (red color says “Tak pakai tali pinggang keleda”r; I didn’t want to sign, cause I did wore mine and such and such usual story). On Portal Rasmi, I have a summon on “tak pakai tali pinggang keledar” compounding. Sum: not written. Add 1: vehicle inspection says 14 days from today, i’m planning to get it done within the week (<4 days), will they allow it or must it specifically be on that date as in an appointment or some sort. Add 2: I showed them a PDRM saman list offence of the category one to category four offences and maximum penalty to pay within 15 days, 30 days and 60 days; and they said JPJ penalty tak sama with PDRM saman, they will be fining me at a different rate. Is this true? If you are not happy that you were summoned for not wearing seat belt, you can always make an appeal. Secondly, if you are planning to make an unapproved modification to your car, you may or may not be summoned by the authority. Being a student without any income, why take the risk.